Hello, Friends! Hope you are having a fabulous Tuesday! It seems like no matter how many birthday cards I make, I always need more. 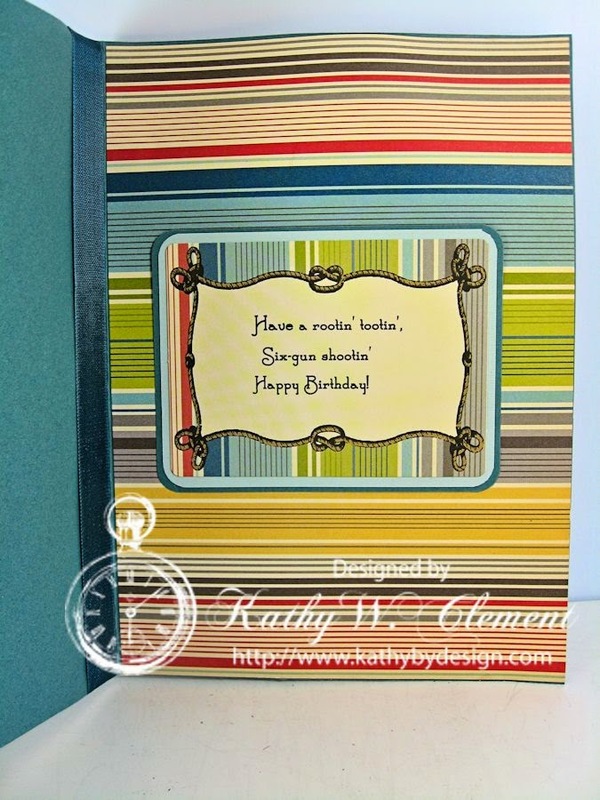 So I'm just popping in today with a trio of birthday cards using fun ribbons and embellishments from Really Reasonable Ribbon that will hopefully give you some fresh ideas for your own birthday card stash. This first card is made with a cute vintage image that I found in my vast hoard of ephemera. A monochromatic card is always fun to make, especially when you add some embossed layers and pretty Two-Tone Brown Sweetheart Blossoms and a lightly sponged White Cosmos Daisy . It was the perfect finishing touch for this vintage card. 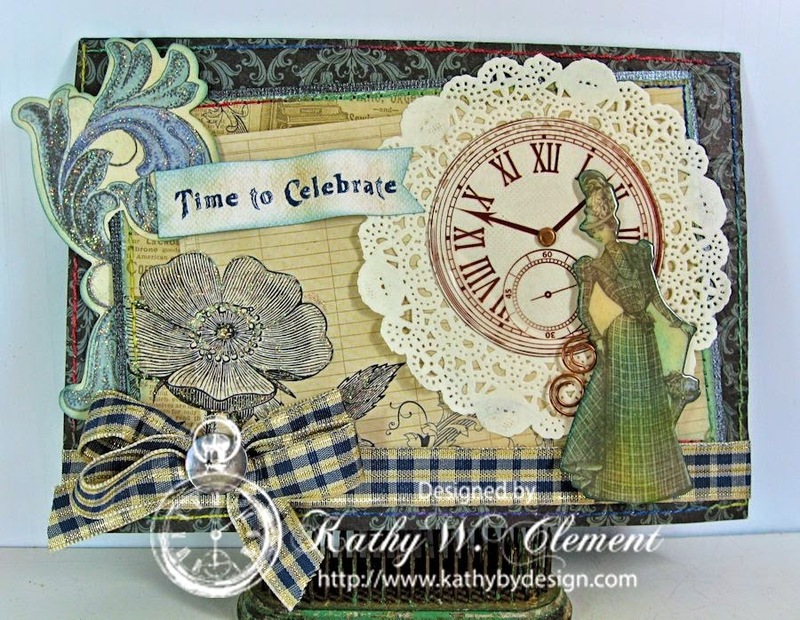 This fun card is made with Kaisercraft "Betsy's Couture" papers and ephemera. I did some stitching on all the layers and then finished the card off with a fancy bow tied with Blue, Gold and Ivory Plaid Ribbon. It is such a great color match, and that little bit of gold thread is sooo elegant! 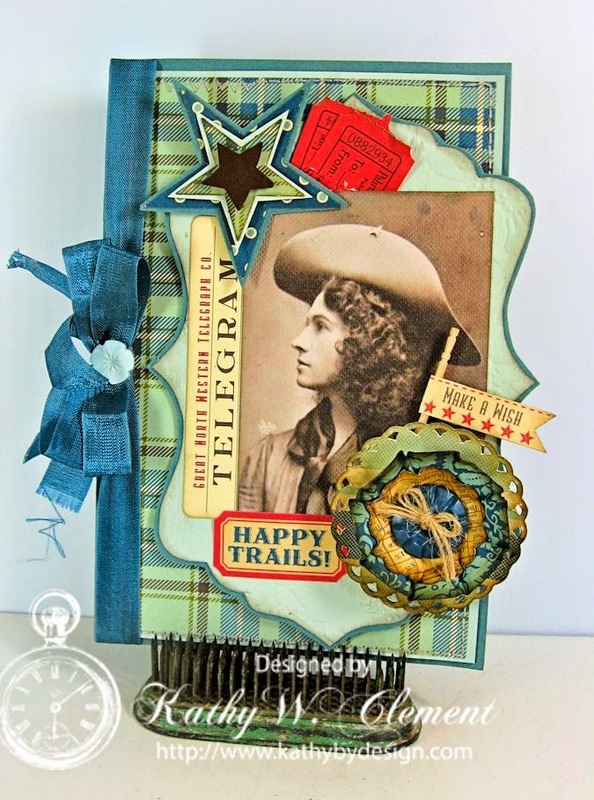 The final card in this birthday card trio is this sassy Annie Oakley card. I made this for a gal who loves cowboys, the color blue and not a lot of frills. This gorgeous Noble Peacock Seam Binding is the perfect color match for the October Afternoon Sarsaparilla papers. I created a little button flower with just a teeny tiny natural burlap string bow. All the bows were tied with the help of my trusty Bow it All Tool. It doesn't seem to matter what type of bow I am trying to tie, it turns out well when I use my Bow it All! I computer journaled the original sentiment onto one of the ephemera cards in the collection. Fun, right? So, that's 3 birthday cards down, and only about a gazillion to go! Which one do you like best? Thank you, Sandra! Hope you got some good ideas from these designs! All three are wonderful, but my favorite has got to be the sassy Annie Oakley. Very fun, Kathy! Thanks! What a great trio of cards. 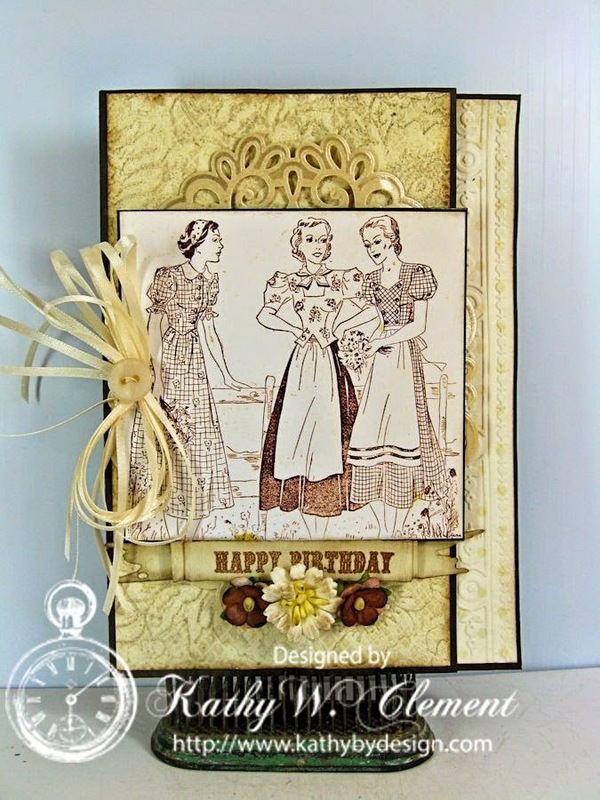 The vintage images are fabulous and all your embellishments are great. I especially like that plaid ribbon. And the clock stamped on the doily is so cool, especially the brad in the center.